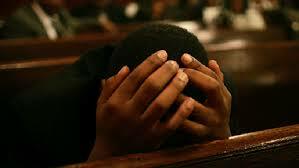 Mental Illness : Our Churches need to do better. …We need to do better. 1. By Completely Ignoring it: Mental illness is just not mentioned, in sermons, in prayer gatherings-nowhere. With the rise of the prosperity marathon, churches are more concerned with attracting crowds who want to be materially successful-own cars, build houses, have good jobs, and travel abroad-which is both fair and understandable. However, the human connection is lost in this whole scramble and people who need to be reached out to and who just need someone to talk to and pour out their suffering hearts, are left behind . 2. Proclaiming that depression is a demonic spirit: This particular message is portrayed in a variety of ways-either that it is a punishment from God or that it is a possession by a demonic spirit. This makes it harder for patients to come out and ask for help from church leaders and members. Mental illness is very complex in its manifestation and hence requires in depth and thorough treatment. I do believe that healing powers work and I am a witness to miracles being performed, but mental illness cannot simply be “cast out”, or “rejected”, and then be done with. This approach to mental illness marginalizes people who desperately need help and does not make the Church a safe place for sufferers to talk openly about it. 3. Perpetuating the notion that mental illness is evidence of fluctuating faith: Breaking News for my fellow Christians: the level of a person’s faith has little to do with their mental wellness. Mother Teresa battled with periods of depression-deep dark moments of questioning her purpose for God’s work, yet she was a woman of such great faith. Christians are not and cannot be exempt from mental illness-we are humans, and like all human beings, we experience emotional and mental vulnerability. Yes, prayer and spiritual counseling works, but the last thing anybody wants is to have their faith tank judged and measured, just because they are asking for help. 4. Medical Attention is not encouraged: Many mental health issues are psychological and a proclamation of God’s love from the altar ,or binding and casting out “depression spirits”, is sometimes not enough to cure deep-rooted and deep-seated emotional complexities that sufferers of mental illness carry. Getting through mental illness, like every other serious disease, requires time, care, and professional therapy. Praying helps, spiritual counseling helps, but there is nothing like professional care catered to helping get through depression or any other type of mental illness. Educating ourselves about mental illness is a first step. If you know someone who is struggling with depression, reach out to them, instead of casting aspersions on their relationship with God. Mental illness requires professional help and treatment, which the Church, in all honesty, cannot fully provide. Unfortunately we still live in societies where mental illness is rather hushed up, ignored or mocked, because of the negative stigma attached to it. Mental illness is a psychological disorder and is not indicative of emotional or spiritual weakness. We need to hold ourselves and our churches accountable for how serious mental illnesses such as depression and schizophrenia are addressed and focus not just on material and spiritual prosperity, but also on the mental and emotional wellness of our fellow Christians. So why the Church? Why do churches matter so much in helping raise awareness about mental illness? I come from a society where religion is one of the most powerful and accessible avenues for spreading salient messages to the public. In churches, especially Pentecostal churches which are rapidly on the rise, Pastors and Church leaders have a staggering hold on the life decisions of their church members. This is why when a pastor preaches that depression is an evil spirit, or that witches and wizards are responsible for stealing one’s happiness, a LOT of people end up believing it, because it is the words of the almighty pastor,thus stymieing the journey towards a healthier approach in addressing mental health issues . There are so many Christians out there suffering silently with mental illness because they are scared of being labelled as demon possessed or being weak in the spirit. The Church has to be a safe place for people living with mental illness, not a platform for judgment, faith policing or emotional pretense. Previous Post Food Fun Friday-5 Food blogs to blow your mind (pot) away!